Creating Basic Flowchart with free templates and examples. Basic Flowchart has never been easier. Flowchart is graphical display of an algorithm or process which is widely used in analyzing, designing, documenting or managing a process or program in various areas. The coolest thing about flow chart should be that it allows you to see the process flow and its direction at first sight. Flowchart is first developed by Herman Goldstine and John von Neumann in the 1940's, and from then more and more people use it to see the flow of information and materials, branches in the process, opportunities for infinite loops, the number of process steps, inter-departmental operations, etc. Different flow chart symbols have different meanings and the most common flow chart symbols are oval flow chart shapes indicating the start or end of the process. Now, quickly create a professional flowchart to help you communicate visually. 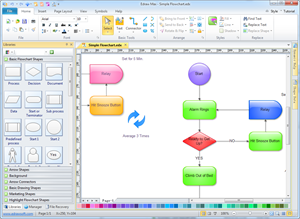 With the help of a variety of drawing tools, smart connectors and shape libraries in Edraw, you can easily create flowcharts of complex processes, procedures and information exchange, including top-down diagrams, information tracking diagrams, process planning diagrams and structure predictions diagrams. 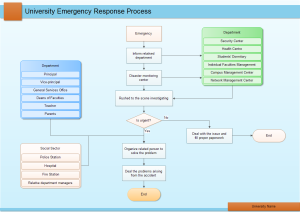 Use the color scalable built-in clip arts and shapes to make your flowchart vivid and attractive. 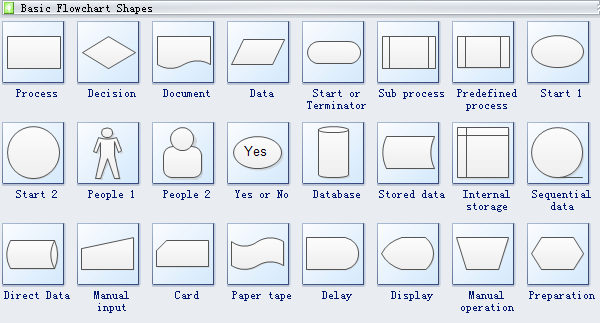 Basic flowchart templates include many special shapes including process, decision, document, data, start or termination, sub process, predefined process, start, people, database, stored data, internal storage, manual input, card, paper tape, etc. These shapes will be good assistants for you when drawing the basic flow charts. A flowchart template is meticulously prepared in vector format for your own designs. 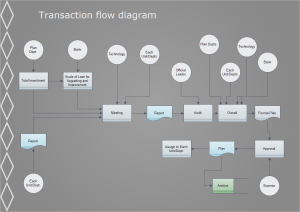 A well-designed transaction flowchart template is readily available for your own designs. Try it to create board room quality diagrams faster. 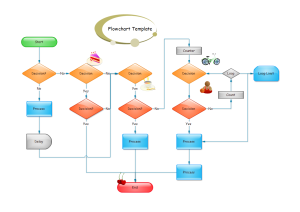 A visually appealing response process flowchart template is encompassed for you to enhance your own creation. 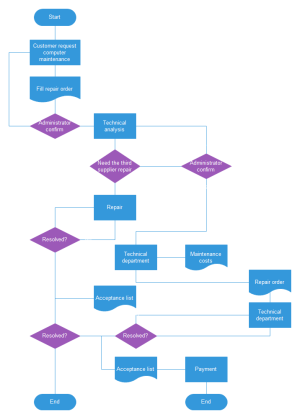 An organized and clear basic flowchart template is ready-made in vector format for your own use.